If you are a dealer would like to setup a new account with us, please download the new account application form below in order to purchase and resale any kind of brand name products from “Media Canada Technologies.”. 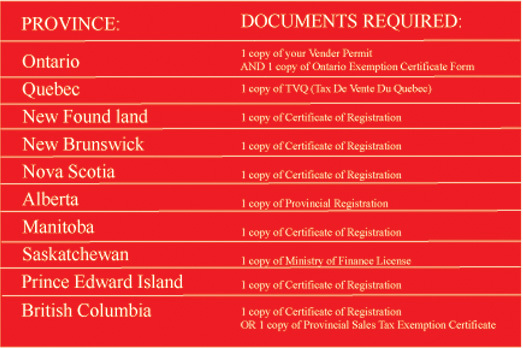 Please completely fill out the “Dealer Application Form” with “Required Documents” together and fax back to our dealer department at (905)415-8865 or E-mail to sales@canadamedia.ca. Once we have the account setup, one of our sales representatives will get back to you with an updated dealer price list via fax or e-mail. Thank you.